This is How We Got Here, a co-production of Continuum Theatre and New Harlem Productions, is playing at the Factory Theatre Mainspace as part of the 2016 SummerWorks Performance Festival. It is a powerfully reflective presentation of real human reactions to loss. A year ago, Paul and Lucille lost their son Craig to suicide, and through their interactions with Lucille’s sister, Liset, and her husband Jim, Paul and Lucille try to weave their broken lives back together. 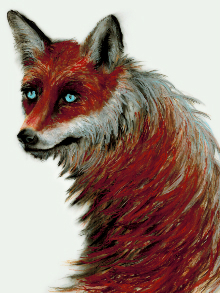 There is also a fox, and for fear of ruining its power, I will leave its meaning to be discovered. “You don’t write about the horrors of war. No. You write about a kid’s burnt socks lying in the road.” This is one of my favourite quotations about writing, commonly attributed to author and screenwriter Richard Price. I feel as though playwright Keith Barker had this in mind when he penned This is How We Got Here. The effects of suicide are dealt with in actions and results, not words, which is typically not the norm for stage performances. I think the best example of this is the scene where Paul (James Downing) enters their house to find Lucille (Peggy Coffey) sitting in the dark. After a brief conversation, Paul discovers Lucille has trashed her mother’s china dishes — the dishes she was saving for Craig — as she feels they have no use or meaning in the wake of his suicide. With all due respect to the actors and their well delivered dialogue, this spoke more to me than any words. Speaking of Barker’s words, there were four specific times I was entranced by them and the actors delivering them. Coffey snared me first with Lucille’s soliloquy to her lost son. It was heart-wrenching when she listed things that never happened — cuddles and I love yous — with an emotionless gaze that gave Lucille’s words that much more impact. Downing was next to strike when Paul spoke at a group therapy meeting, relating a story of a forest fire. What hit with this was how it all came back to his son. When he finally broke down relating how he felt he failed to support Craig’s fight with depression, I almost lost it with him. Last, but certainly not least, was when Martin Julien’s Jim speaks to Paul about the circumstances surrounding Jim’s last interaction with Craig. I felt his blue-collar aesthetic melt away with each sob, showcasing a vulnerability of character with each rise and fall of his shoulders. I want to say one actor stood out more than the others, but this truly was a well-balanced four person ensemble. Deanna Choi deserves mention for her violin compositions. “Playing” the fox, she was subtly present throughout the entire show and I loved how her performance was laced through the threads of the piece. While the material of This is How We Got Here is deep, the show didn’t leave me feeling anything dark. Instead, I was happy to have experienced the talent of everyone involved, and to have gained perspective on what I felt were honest and true reactions to the tragedy of suicide.